Pick up at the hotel at the arragned time. 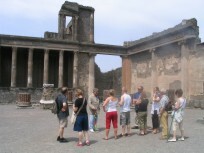 The tour provides the visit of the two most important archeological sites in Campania region, that since 1997 have been part of the world heritage list of UNESCO. 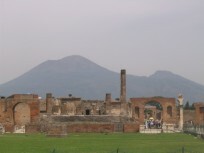 Both Cities Pompeii and Ercolano are situated at the foot of Mount Vesuvius. 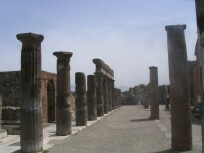 Although their nearness, they have been completely different: Pompei was a prosperous commercial town enriched by the intense trade on the river Sarno, while Ercolano was a little residencial town, that attracted the roman patricians for the beauty of the landscapes and for its closeness to the sea.D uring the years both cities were enriched with many pubblic buildings and embellished with several mosaics, paintings and scultures. 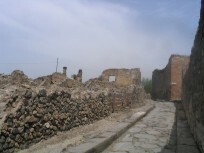 In 79 a.c the terrible eruption of Mount Vesuvius buried Pompeii with a volcanic ash layer while Ercolano disapperead under about 30 meters of mud and volcanic detritus. 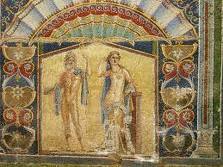 Nowadays thanks to the archeological finds and to the tale of an expert guide is easy to approach to the day life of people who lived more than 2000 years ago and at the same time to admire the beauty of the art and the architecture. 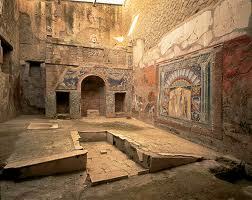 The tour starts with the transfert to Pompeii for the visit of the first archeological site (It takes 2 hours about). Is possible a stop for lunch. 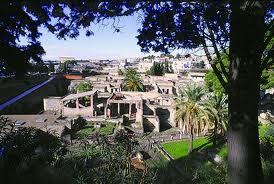 Transfer to Ercolano (the visit lasts 1h 30). 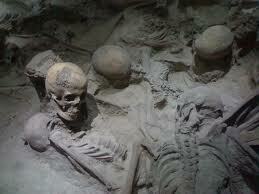 The duration of the tour is 5 hours about.